In the late fall of 2011, a 3-ton ground source heat pump retrofit was completed at the 4,500-foot elevation in Plumas County, California in the northern Sierra Nevada mountains. The existing 1,100 square foot home was previously served by a 3-ton air-to-air heat pump in an all-electric home. 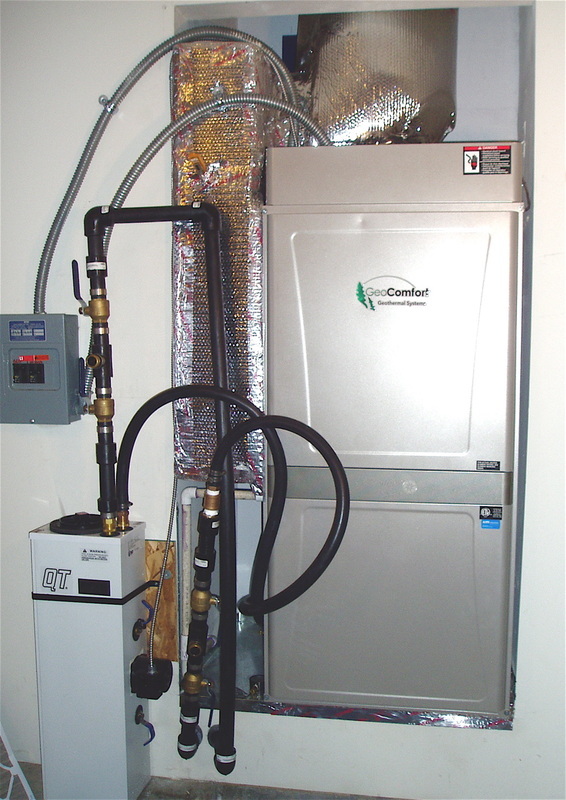 (Right) A 3-ton GeoComfort ground source heat pump and its QT flow center have just replaced a previous air-to-air heat pump of the same capacity in this same garage "nook." 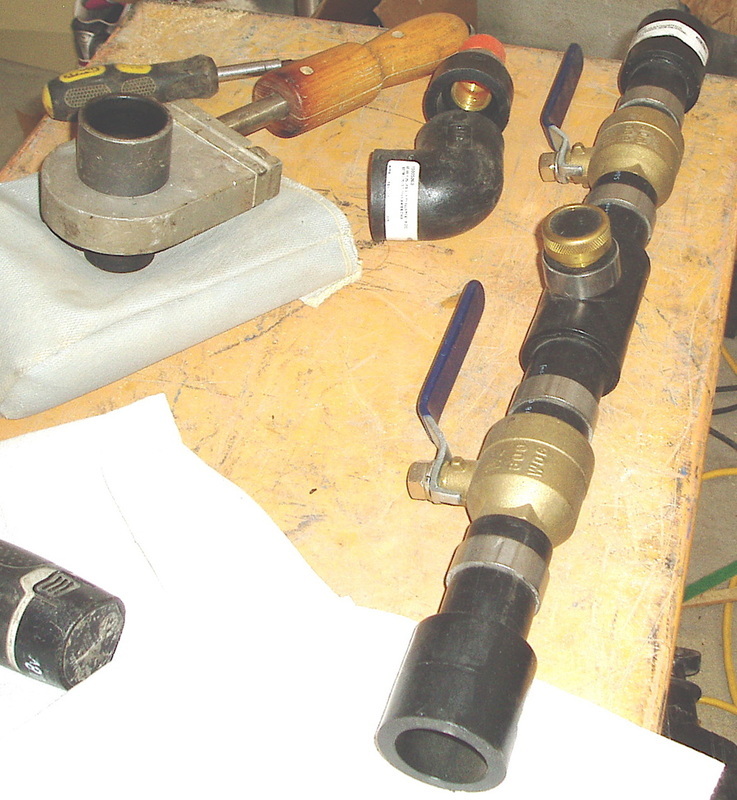 This photo was taken prior to the insulating and anchoring of ground loop and flow center pipes in 1" rubber, and 1.25" high density polyethylene. When this shot was taken, the unit was running (quietly) on Stage 2 heating, pumping 9 gallons of ground loop fluid per minute to and from three vertical bores each 220 feet underground. 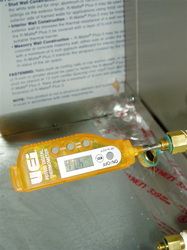 The unit was taking 6°F out of the fluid flow on a continuous basis. 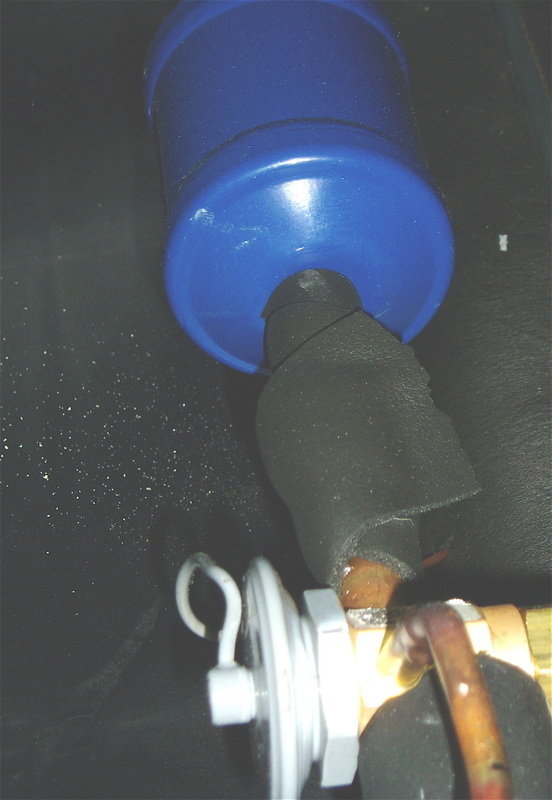 For the complete story sequence, see the photo galleries and descriptions (below). 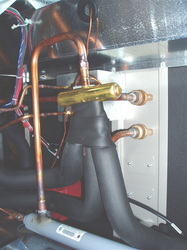 Because of the dense nature of the subdivision's housing, horizontal ground loops about the yard were impossible, so vertical bores were used for this retrofit. 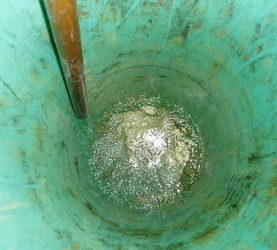 Threee bores were drilled to 220' depth. The bottom 200' was filled with a .9 conductivity bentonite grout and the top 20 feet received a 20' cement seal to conform with local codes to keep surface water from entering the bore and shallow aquifers there. 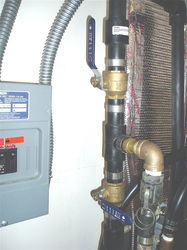 Supply and return headers are underground in the yard and are insulated as they cross the crawl space and connect to the flow center and ground loop pump in the garage. (Above) The driller's report revealing the vertical profile of the bores. Plumas-Sierra Rural Electrical Cooperative (PSREC) is the serving electrical utility in this location. The homeowner utilized PSREC’s unique ground loop loan program to cover the capital cost of the ground loop installation on this job. 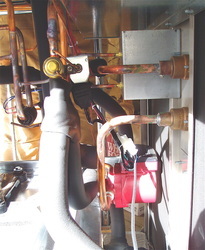 Fixed payments on the no-interest, 30-year loan for this purpose will be made via the homeowner’s monthly electric bill. An experienced, IGSHPA-certified, regional driller was contracted by the utility for the project. 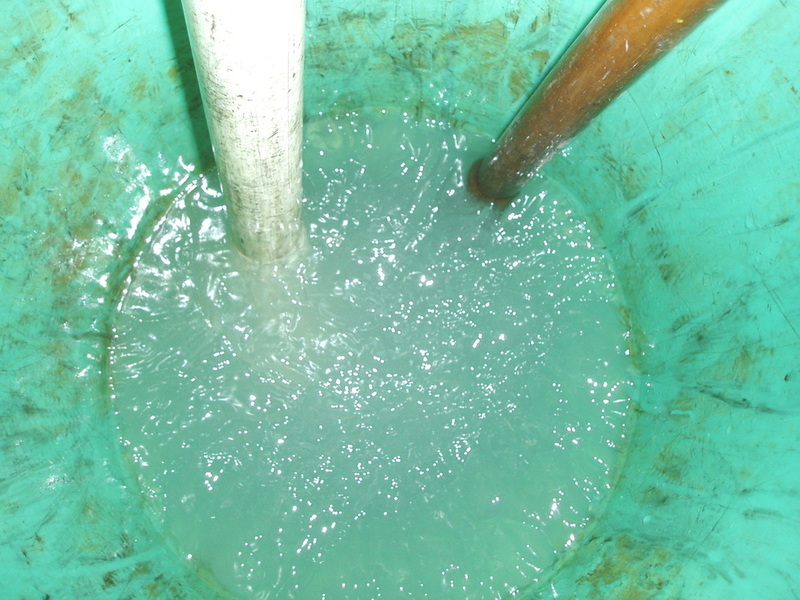 Drilling was routine, and the drilling mud was contained inside a large, rubber bladder container of hundreds of gallons to keep the area clean. It was removed off-site after drilling. 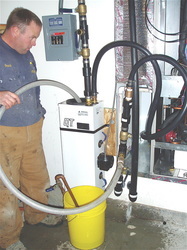 A local, IGSHPA-certified installer performed all other work under contract to the homeowner, providing equipment and supplies common in such work. The existing air-to-air heat pump was removed, along with most of it's ductwork. Newer ducting for supply and return air streams featured higher volume, lower velocity, and better conduction of heat to room air passing through the heat pump's air handler. 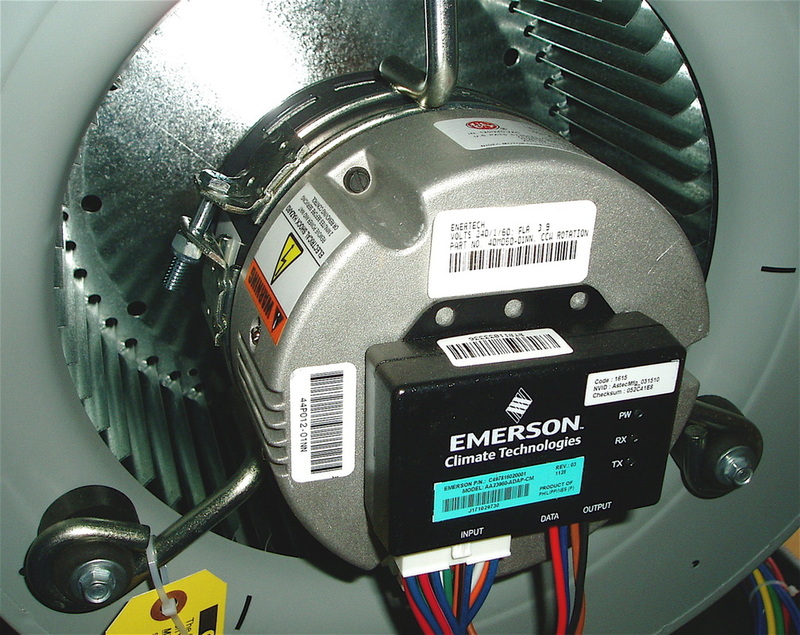 A data plate on all HVAC equipment illustrates its heat transfer capacity, electrical load and necessary circuit ampacity, refrigerant volume characteristics and operating pressures, and static air pressure entering the ductwork. 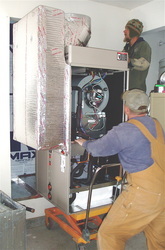 This is a three ton unit, meaning it has the ability to move a gross, 36,000 BTU/hr into your ductwork. 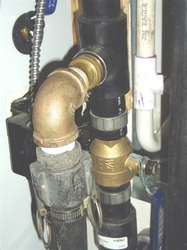 A ton is considered 12,000 BTUs, which is defined on this site's definitions page. 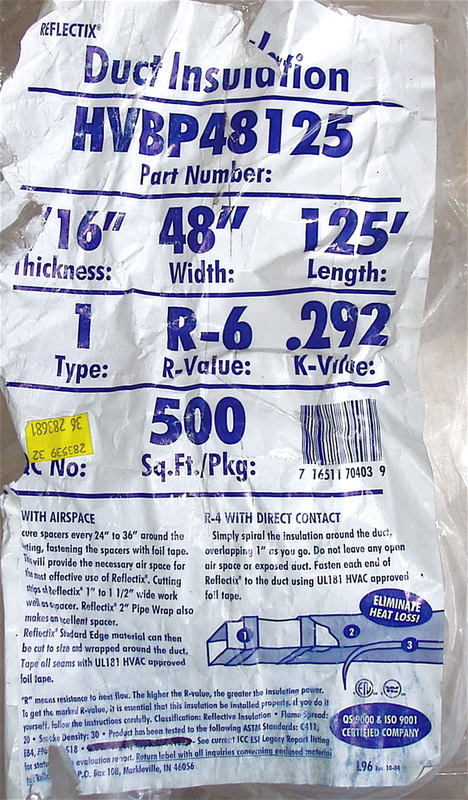 The model number clearly contains 036, representing its three ton capacity. At the bottom right of the data plate, this unit is seen as Energy Star Rated, an all-important consideration so that the full installation cost of this unit will qualify for the 30% Federal tax credit through December 31, 2016. 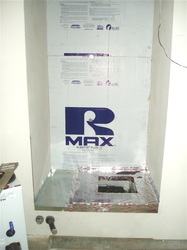 Note that unlike fossil-fired furnaces, this unit is approved for zero clearance to surrounding walls (and in this particular retrofit example, you'll see below how that is important). 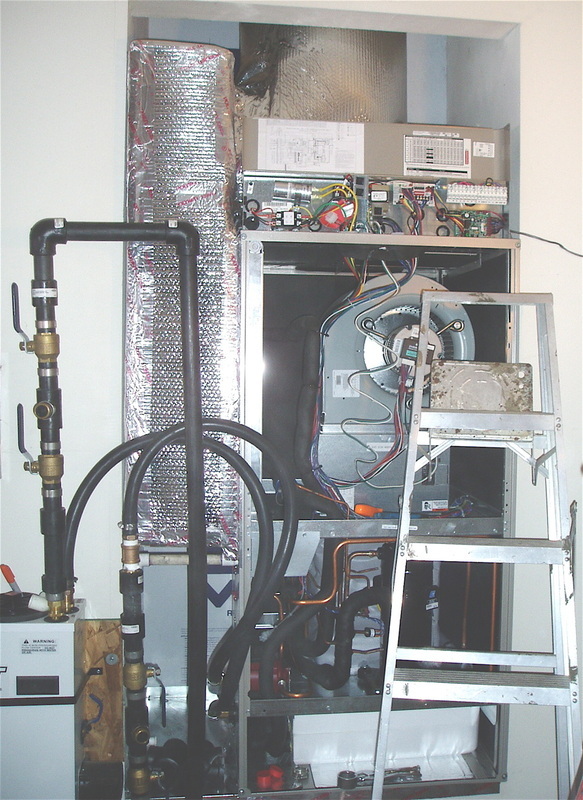 This system was (and remains) a downflow system with a single return located in a high ceiling at the junction of two hallways and directly over the wall-mounted thermostat. The rectangular supply plenum below the old unit had duct take-off diameters of 7, 9, and 12 inches. 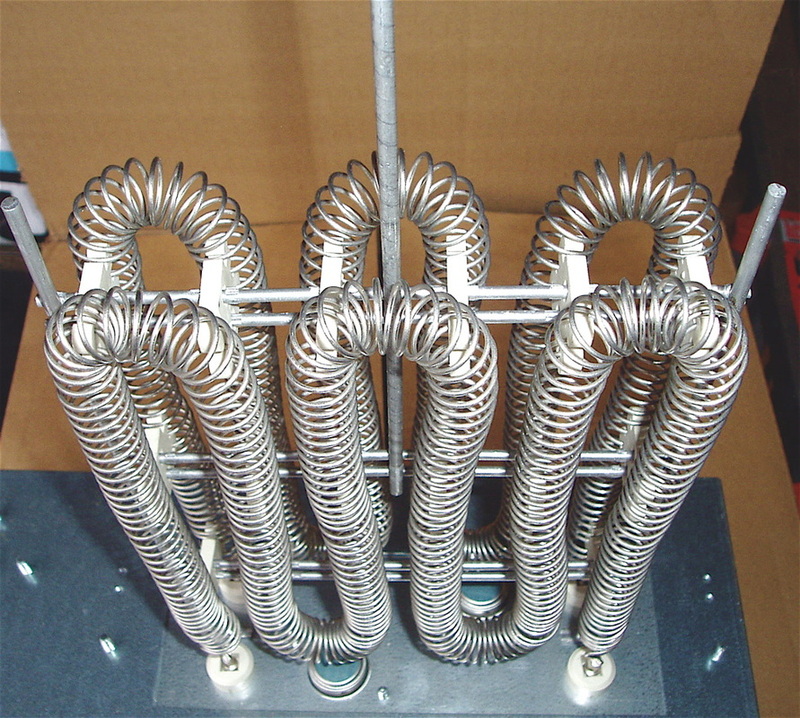 The new plenum serves ducts of 6, 12, and 14 inches diameter. 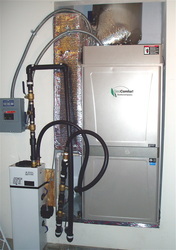 The new heat pump had to be located in the same spot as the previous one—a nook 15" above the garage floor with walls on three sides. 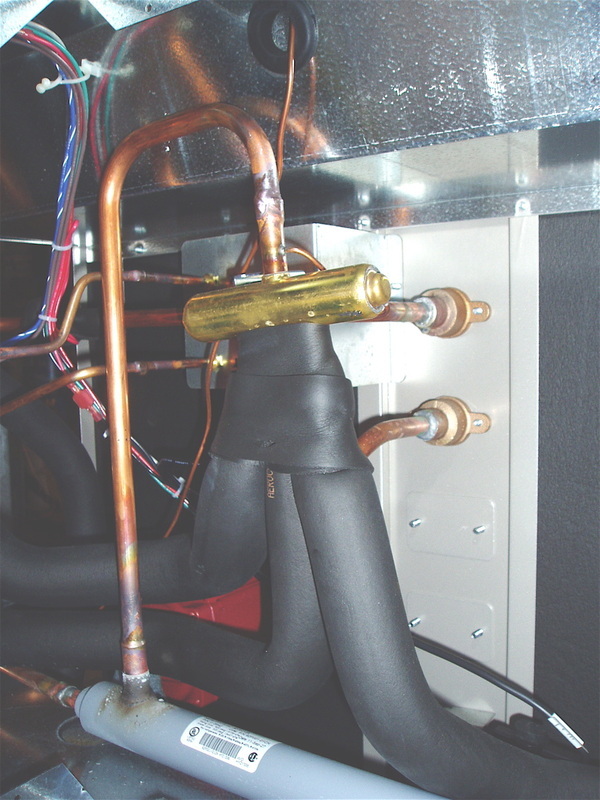 Fabricating larger ductwork that had to enter at the side of the new heat pump was an available space challenge as the photos show. 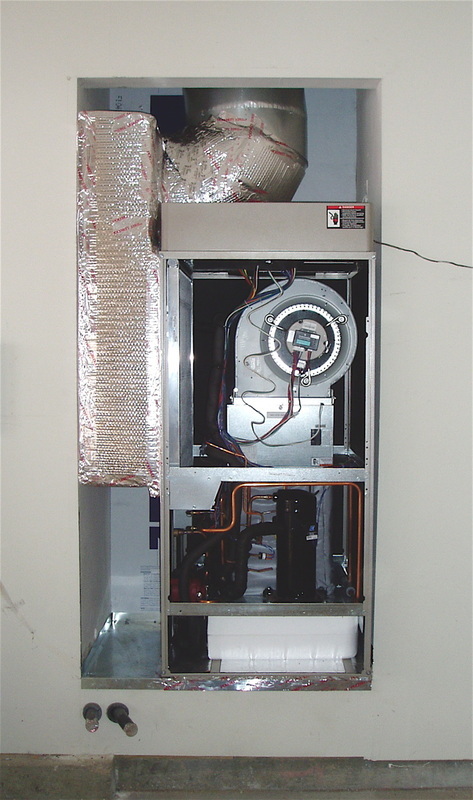 The new heat pump is a GeoComfort model (GXTO36C11MM1CSS) manufactured by Enertech. As a non-horizontal unit, it is supplied as an upflow, but is field-convertible to downflow with some easy internal fitting changes (which we performed for the first time in 15 minutes). 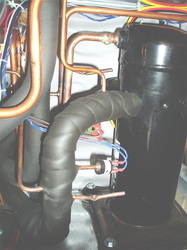 It contains a ground loop exchanger sandwiched in solid foam insulation and a de-superheater coil for hot water heating by TurboTech with a small Grundfos circulating pump. 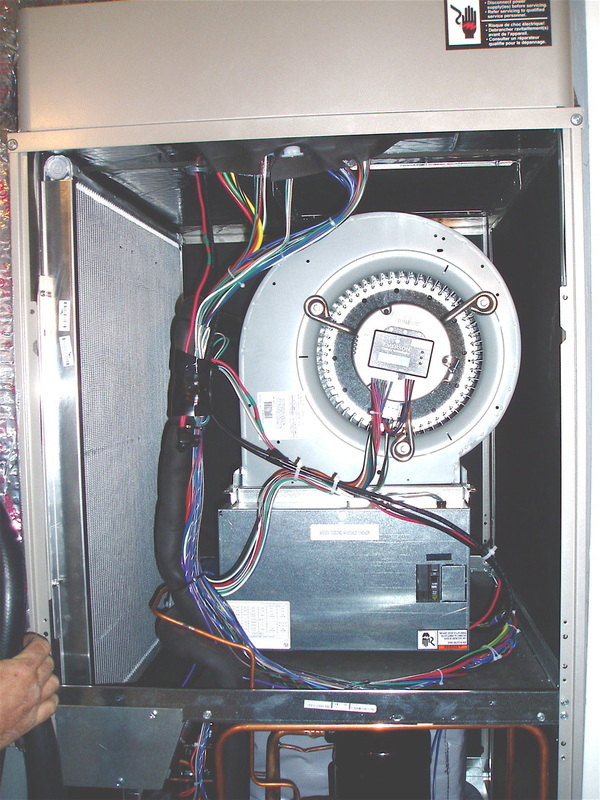 The cabinet housing has Amaflex-insulated, removable panels on all four sides and the internal space is large for a heat pump of this tonnage—suggesting easier maintenance and repair. 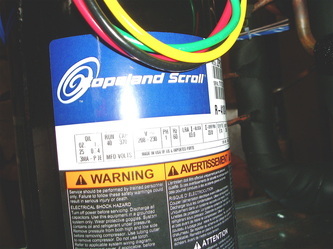 The refrigerant is R410A and the compressor is a Copeland 2-stage scroll type (ZPS30K5E-PFV-130). 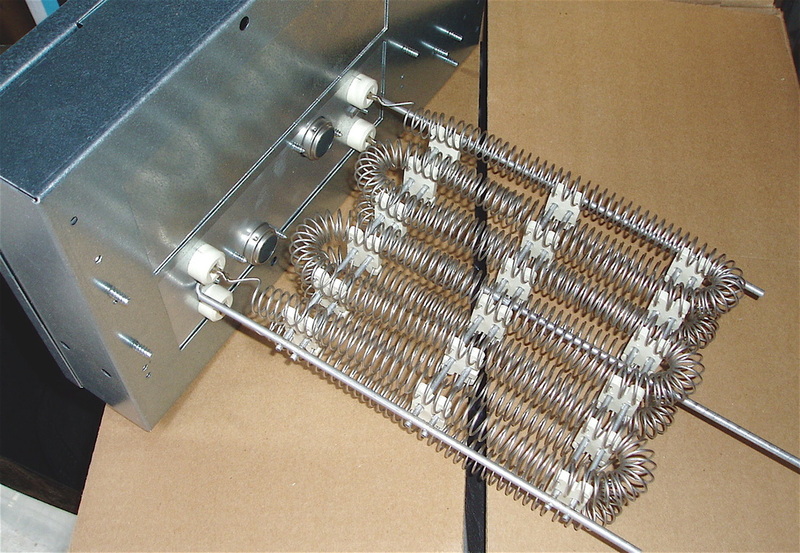 The air coil is large on the side of the unit and is of this manufacturer's newer type called MicroChannel. 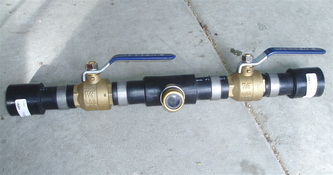 It will be incorporated in this brand's larger sizes in 2012, and is field replaceable. The condensate drain pan is non-metallic to further protect against galvanic action on this aluminum fan coil. 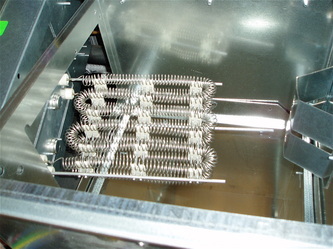 Condensate drop off during cooling is claimed to be better with this air coil than its predecessors, resulting in less moisture back into the cooled air stream. 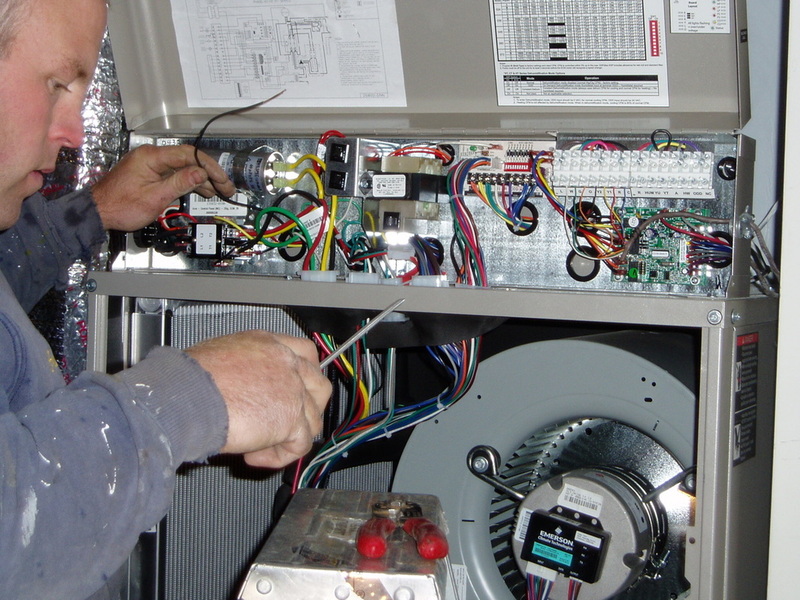 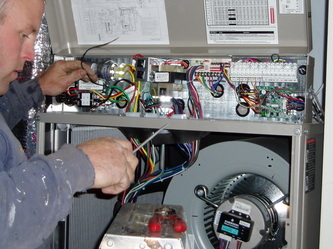 When we energized the unit we could not sense any vibration or sound from the compressor; only the sound of airflow. 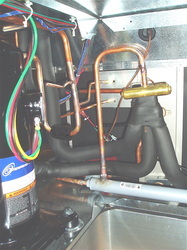 Photo Gallery of internal heat pump components. 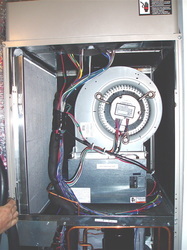 Click on images below for larger views with caption. 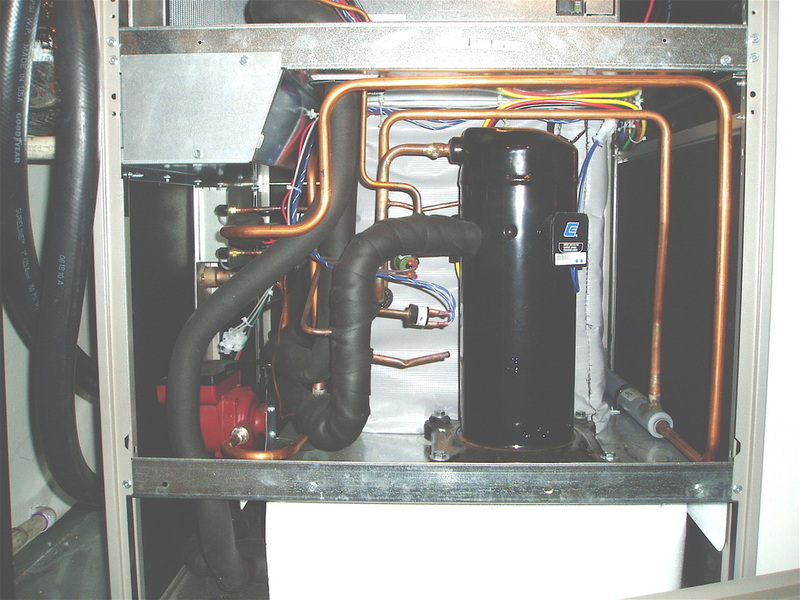 Ground source heat pumps often come with a "two speed" refrigerant compressor, just like some central air conditioners do. 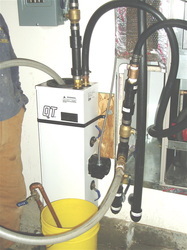 When there's a two speed compressor, their part load and full load are known as Stage 1 and Stage 2. 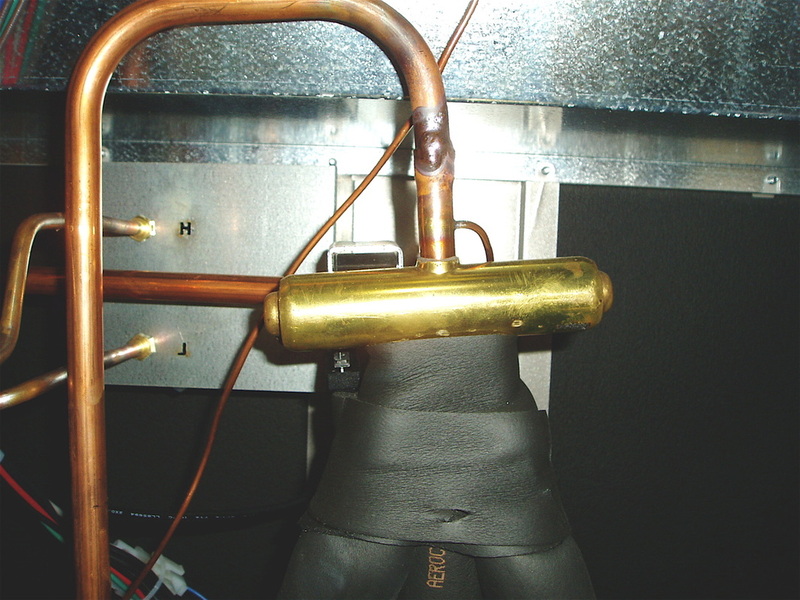 An electrical resistance, "strip" heater is nearly always part of any heat pump package. 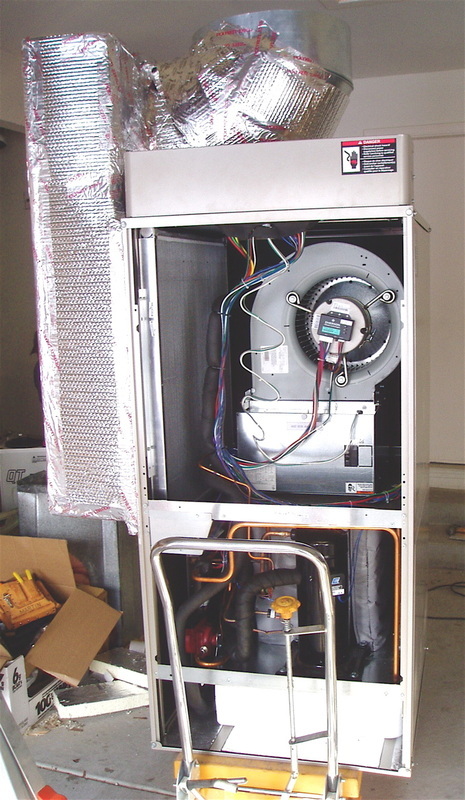 During the defrost cycle of an air-to-air unit, or after a compressor failure with ANY kind of heat pump, you might strongly value the contribution potential of Stage 3 heat. While many are tempted to swear off supplemental electrical resistance strips by up sizing the heat pump model, this is usually not effective. 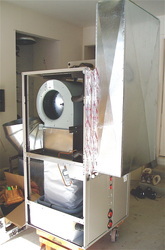 It would require more ground loop, higher equipment cost, and Stage 1 operation would cycle more in the shoulder seasons, reducing efficiency. Long run times on Stage 1 provide cheap pre-heating of domestic hot water, and a larger heat pump would negatively affect this economy. 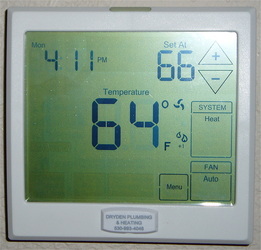 Stage 3 potential requires that you use a 3-heat and 2-cool thermostat, meaning the stat's wiring can command five separate modes of operation. This way, when the stat calls for heat, if Stage 1 doesn't respond quickly enough, Stage 2 will be called for full compressor output. 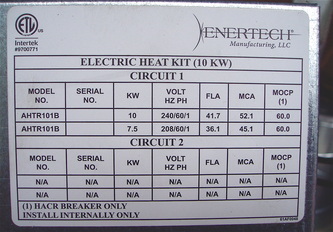 And if that doesn't satisfy the stat within a certain time interval, Stage 3 electrical resistance heat will be added to the mix. Photo Gallery of Stage 3 resistance strip components. 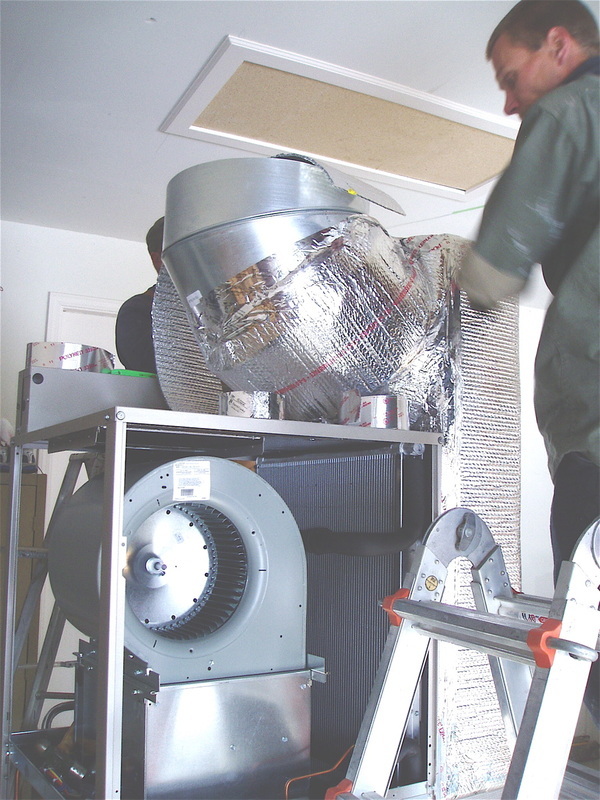 As hinted at earlier, an effort was made to improve efficiency and occupant comfort by increasing duct size (moveable air volume) and thereby reducing air velocity for a given blower delivery of CFM (cubic feet of air per minute). 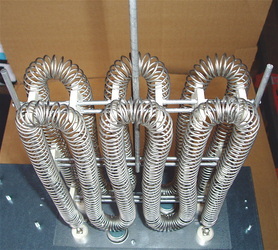 The airflow across the heating coil improves. This will also have the effect of occupants not feeling their ducted airflow at 85-95°F as a cool draft. 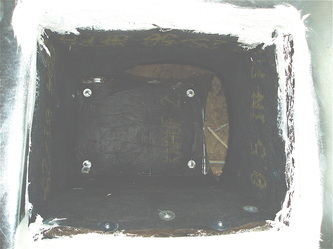 Outside of the internally or externally insulated plenums, the supply duct runs were composed of factory insulated flex duct. 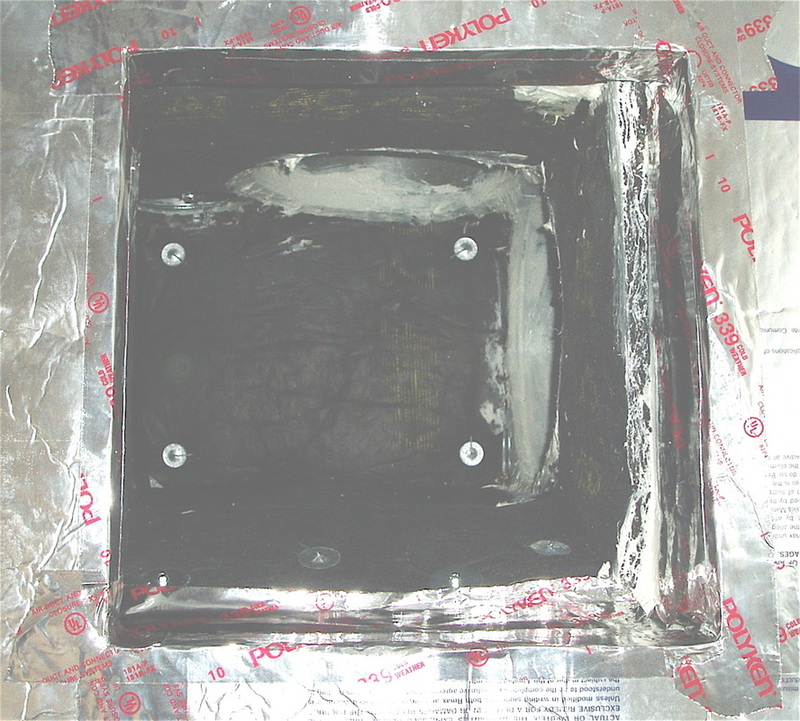 Serious care is taken with duct butter (a sealing mastic), clamps and/or aluminum tape to insure that the ducting does not leak any air. A severed supply duct discharging heat into a crawl space can be real money loser (and it happens too frequently in slap dash work). Photo Gallery of some of the duct retrofit work. 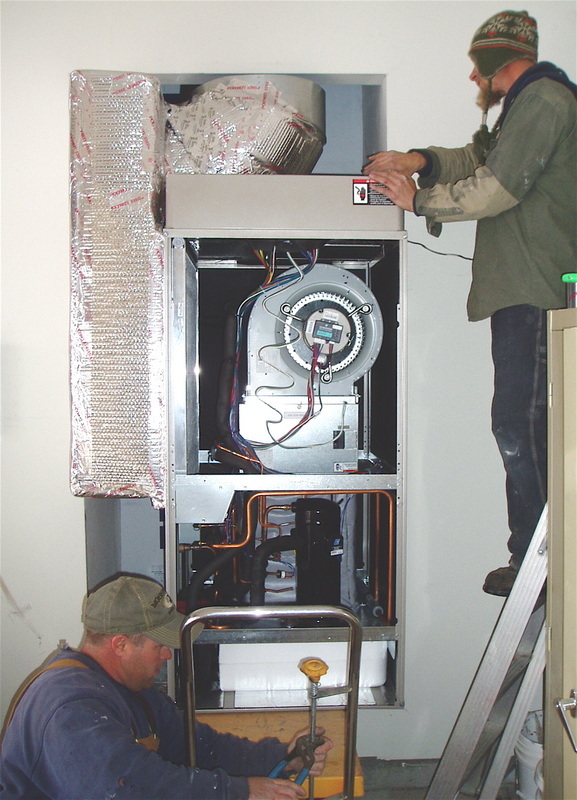 The next step in this job was to fit the heat pump cabinet with its ducting and get it placed in final position in the nook. 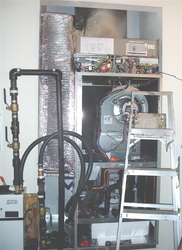 This was not straightforward, as the nook housed a smaller heat pump cabinet that fed downward, straight through the former unit. 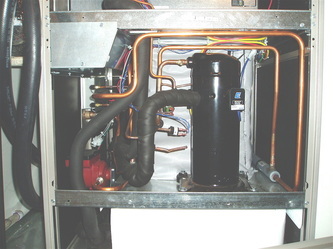 This heat pump cabinet was larger, and it must take the entering air to its left side so that it can pass through the large air coil there. 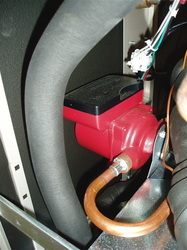 The coil was 2/3 the size of a Peterbilt's radiator, although not as thick. 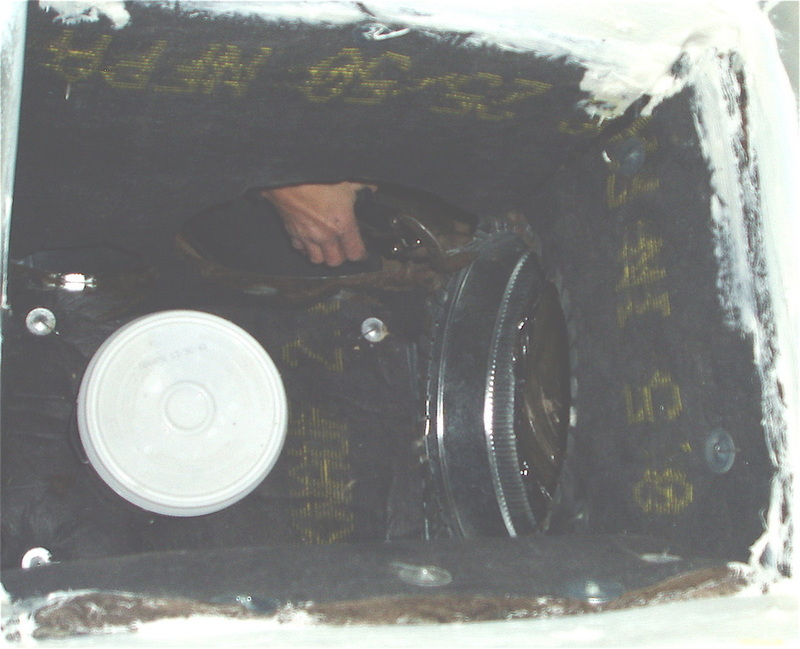 So, in a short, vertical space in the upper nook, a large diameter ell had to turn the downward airflow laterally to enter a vertical duct on the side of the unit, allowing air to move across the (invisible here) vertical air coil. 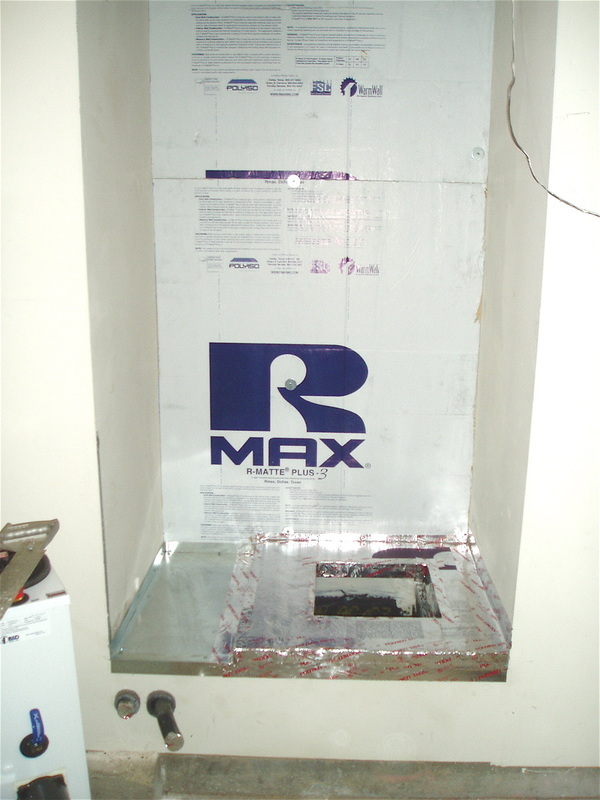 Duct insulating followed, and then the 400+ pound assembly was gently "shoehorned" into final position in the nook. Then, final attachment to the supply air was made. 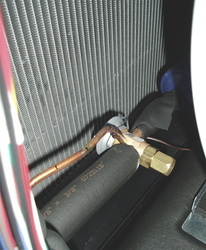 The downflow airstream was already sealed by the unit's weight onto the plenum's upper foam platform. It's a working liquid loop that transports heat from and to the ground in a closed loop, ground source heat pump. 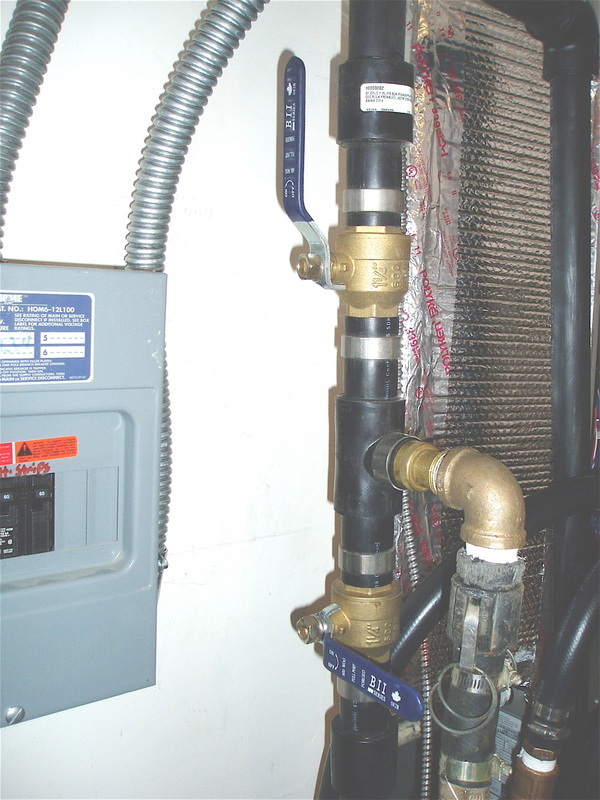 It is important to get all impurities, foreign material, and air OUT of these pipes and heat exchangers. The pathway is between HDPE pipe in the ground (or suspended in a pond or lake), through the flow center where the pump(s) is(are), into and out of the liquid-to-refrigerant heat exchanger in the heat pump unit. 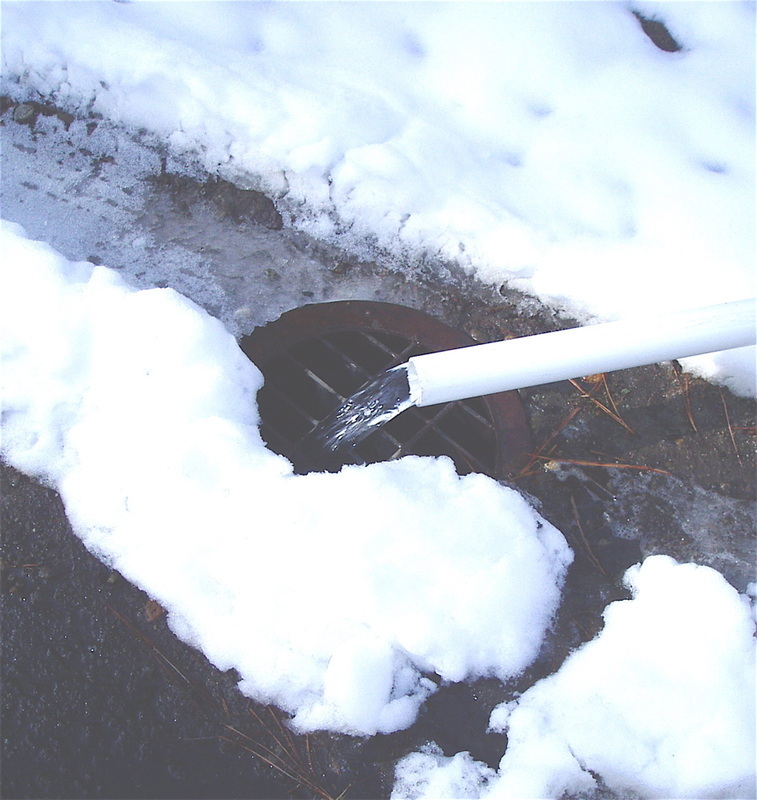 The process is to use a strong, external pump (usually part of a flush cart apparatus) that can take in household water and push it through all of the ground loop, through the flow center, and discharge it at the surface into a storm drain or similar location. 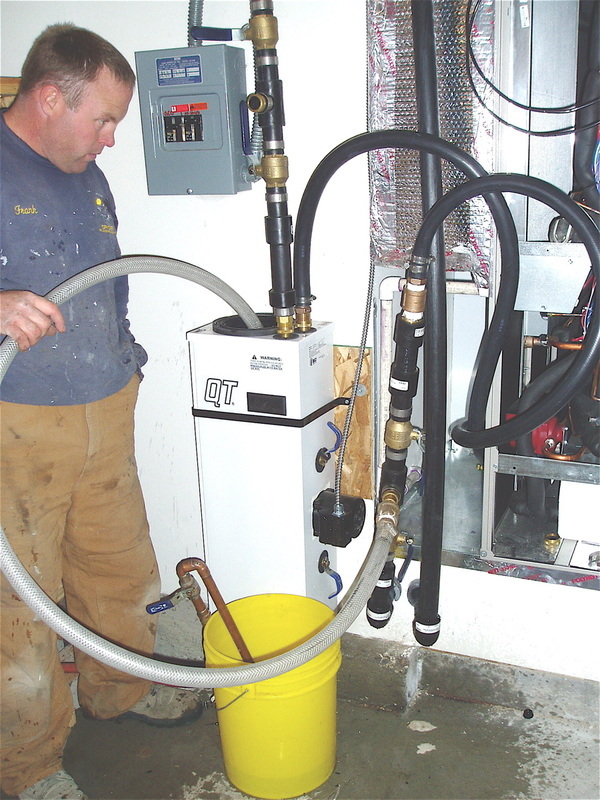 When this flushing is complete, it's time to stop discharging water from the loop and to add an anti-freeze product by a pre-calculated measure based on the known-in-advance ground loop and header pipe volume. 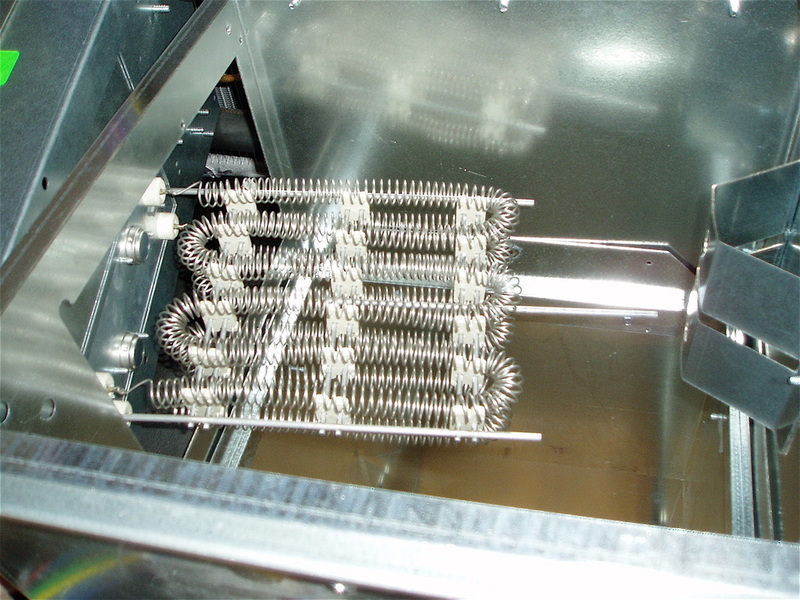 This achieves a desired low temperature, non-freezing status to the working fluid, keeping pumping resistance low while preventing the icing of the internal heat exchanger, rendering it inefficient toward inoperable, on the way to breakage. 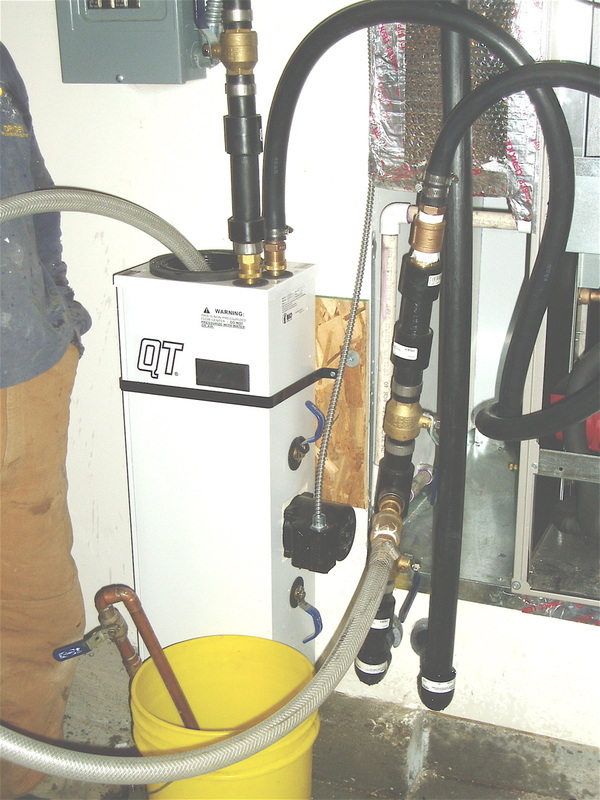 Cavitation not only reduces heat transfer efficiency but its failure to circulate ground loop fluid will be picked up by heat pump sensors that will shut the compressor down. 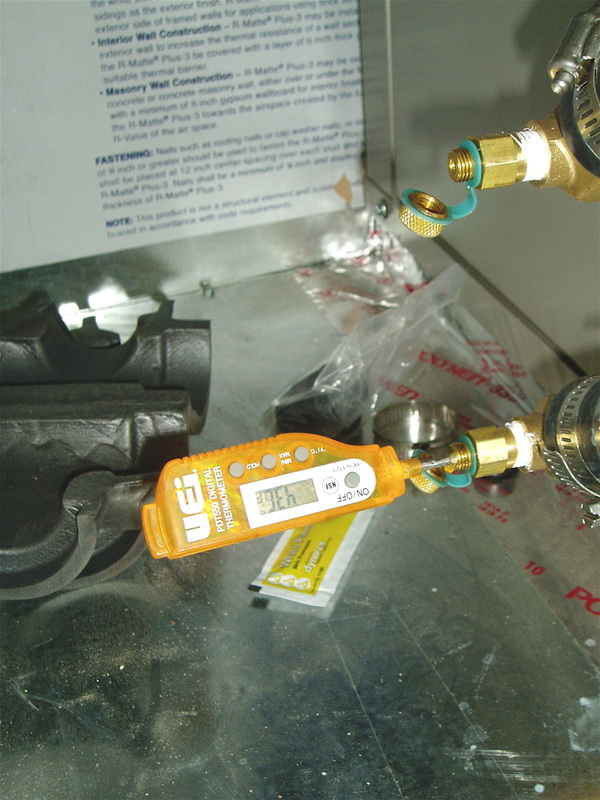 The result at such a point is that if you and your stat want heat, it will have to all come from Stage 3 operation only—an expensive proposition. 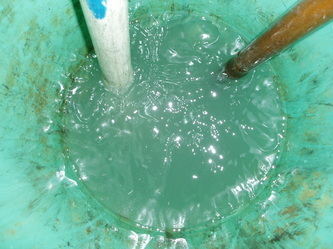 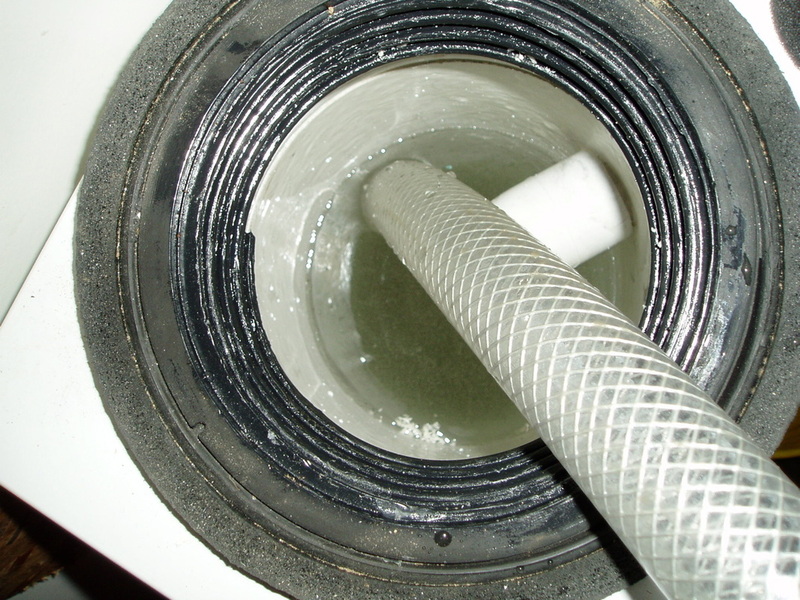 Photo Gallery of ground loop flushing, filling, and purging. After the ground loop to and from the flow center and to and from the main heat exchanger has been flushed, anti-freezed, purged, and capped, it's time to complete the wiring. 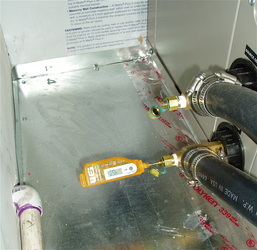 The process is straightforward and uses common techniques, with all three exposed circuits running through armored cable. 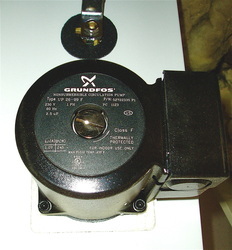 The flow center pumping the ground loop fluid to the bores and back is an open loop type and is powered by a 220-volt, 245 watt Grundfos UP26-99 pump. 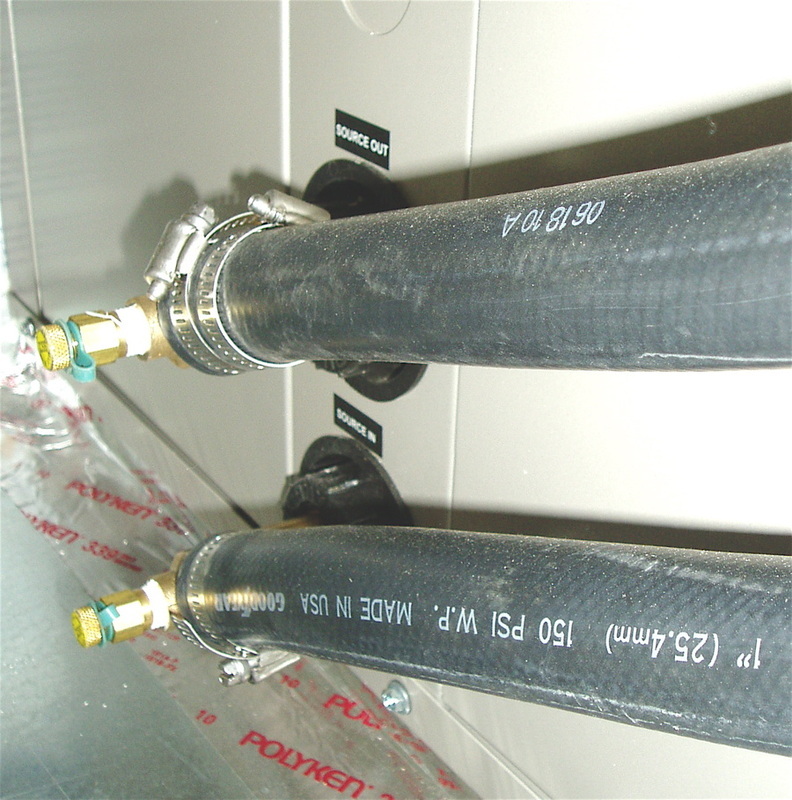 Seven gpm is sent to the ground loop heat exchanger on stage one and nine gpm during stage 2 heating or cooling. 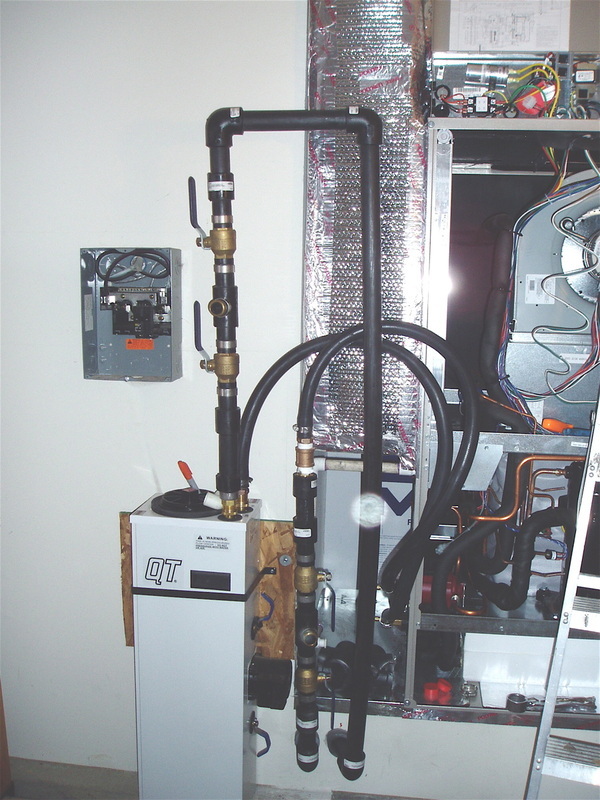 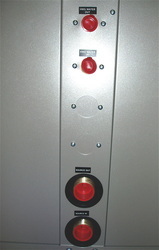 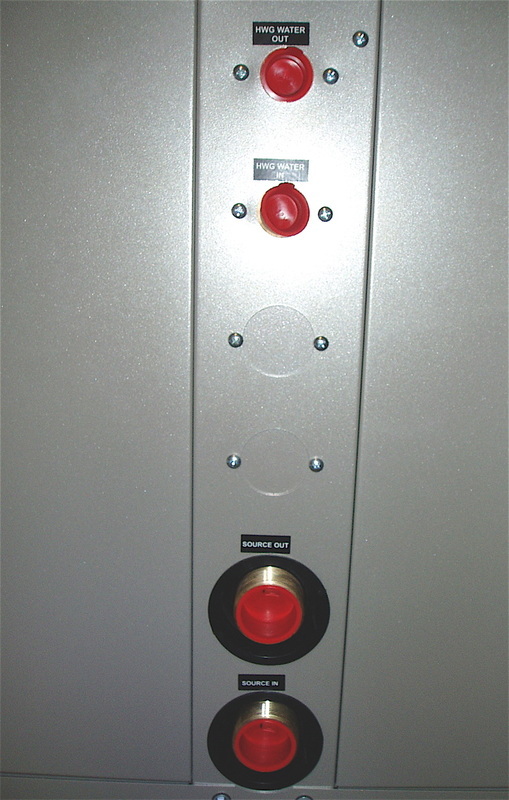 The unit's power comes from the power board of the heat pump (not by external circuits connected to wall-mounted breakers) and it's carried in armored cable. 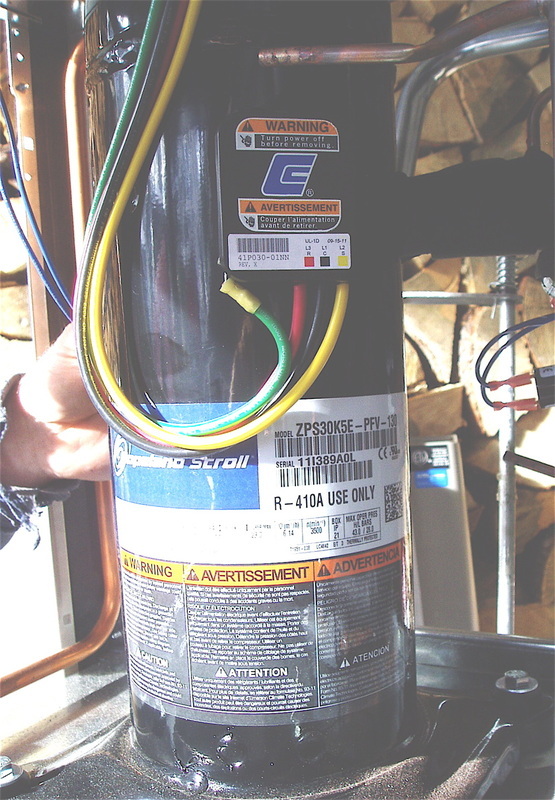 The unit's amperage draw on stage 2 heating is 17.8 amps of 220-volt power and although the minimum suggested wire size was #10 AWG, we wired with #8 AWG through a 40amp double-pole breaker. 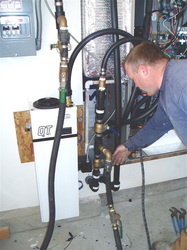 This draw includes the load of the fan, the compressor, the ground loop pump, and the hot water circulator. 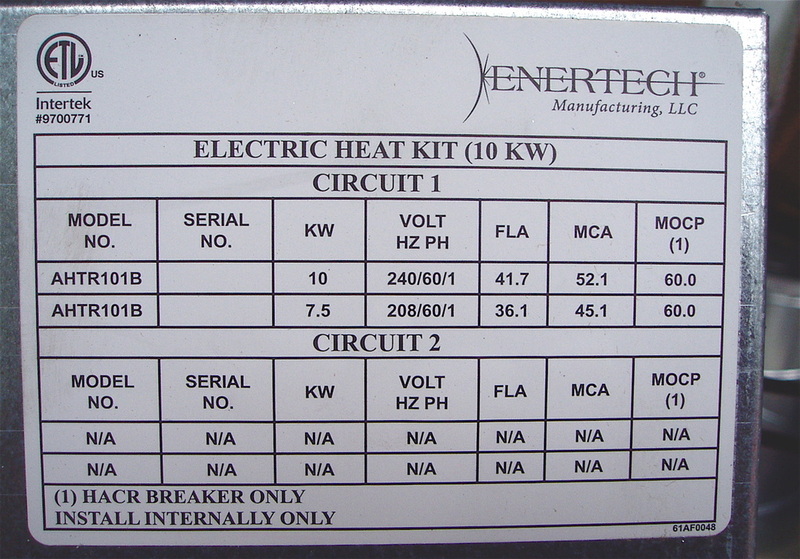 The strip resistance heating is a 10KW unit placed inside the cabinet's internal plenum and is wired with #8 AWG through a 60amp double-pole breaker. It is capable of providing over 30,000 BTUs of stage 3 heating as a supplement in the coldest weather, or during any break down event where the refrigeration cycle cannot work. 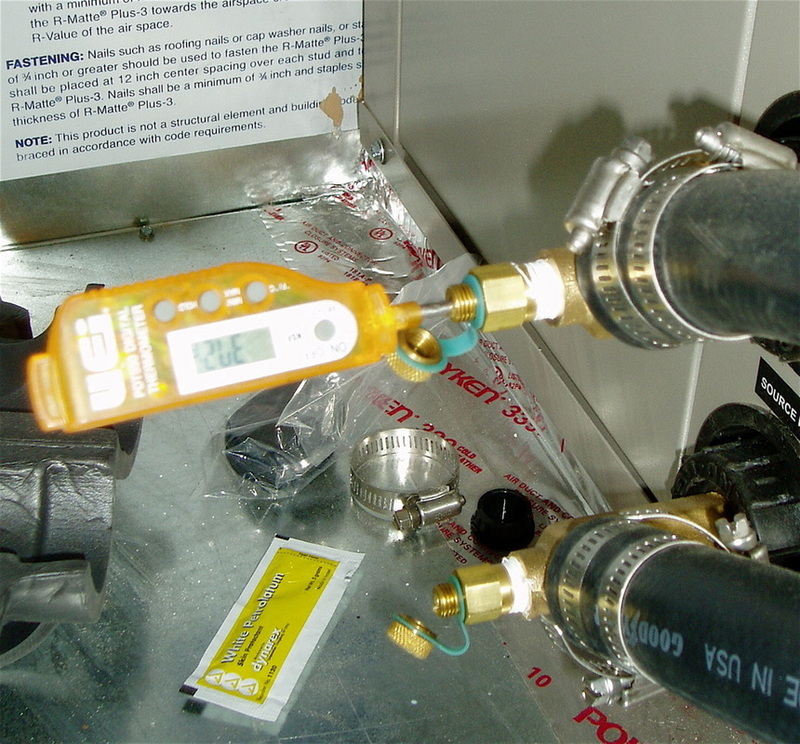 Photo Gallery of getting ready to power-up and test the unit's performance. 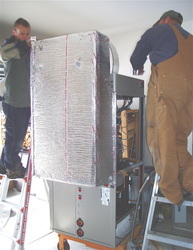 This ground source heat pump unit will produce a net million BTUs into the distribution plenum for close to $12. 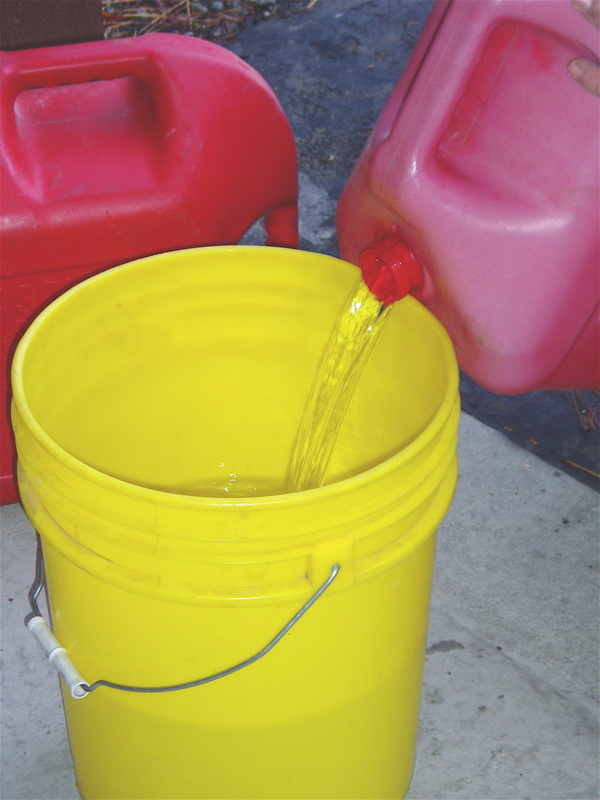 Oil would have cost $40/MMBTU and propane $50/MMBTU. 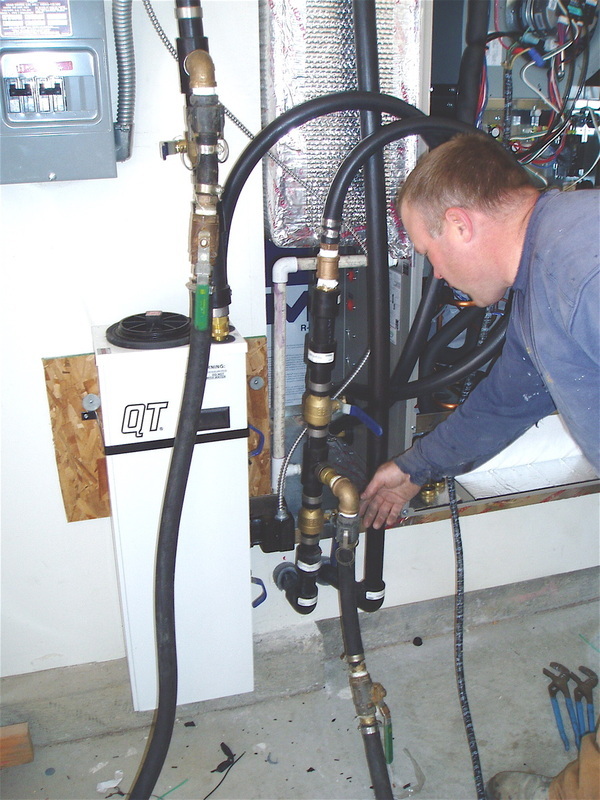 While electric power cost could rise over time, at least 4/5 of the heat put in the house by this ground source heat pump comes renewably (and free) from its three underground bores to 220 feet.